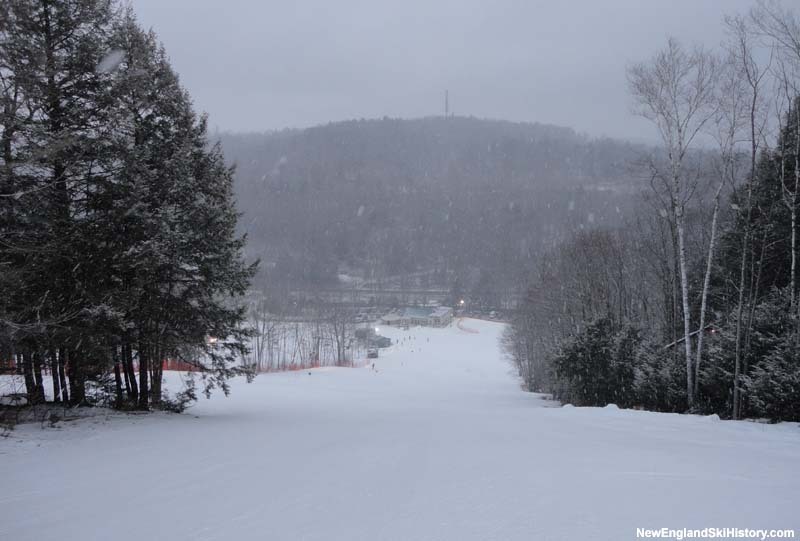 After being closed for over two decades, the former Pinnacle ski area saw new life in early 2002 as Baybutt Construction commenced work. 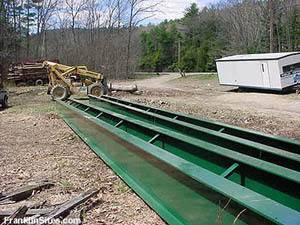 Located across the Otter Brook from Route 9, one of the first projects tackled that spring was to build a new bridge from the parking lot to the base area. 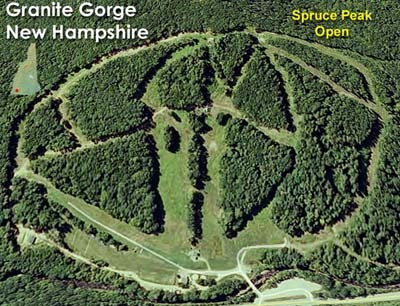 The ski area reopened as Granite Gorge for skiing and tubing on limited terrain and a surface lift late in the 2002-2003 season (along with snowmaking and lighting). 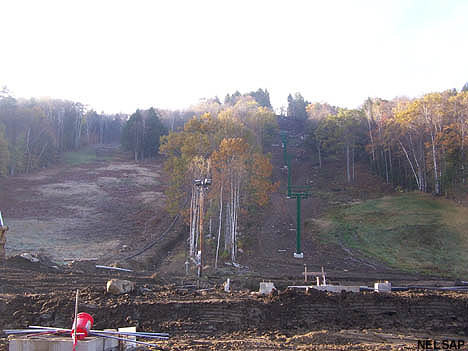 At that point, future expansion plans included installing a triple chairlift to the top of the peak. 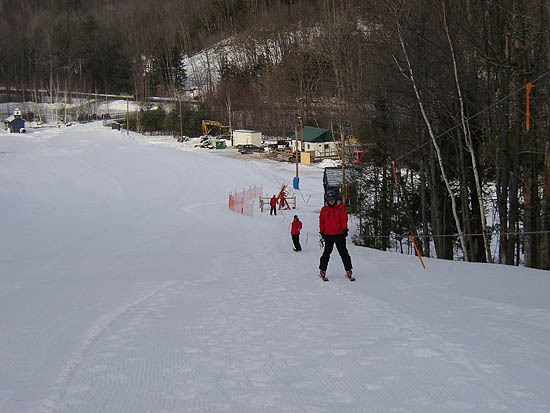 The ski area operated with more regularity in the 2003-2004 season as upper mountain trails were opened without lift service. 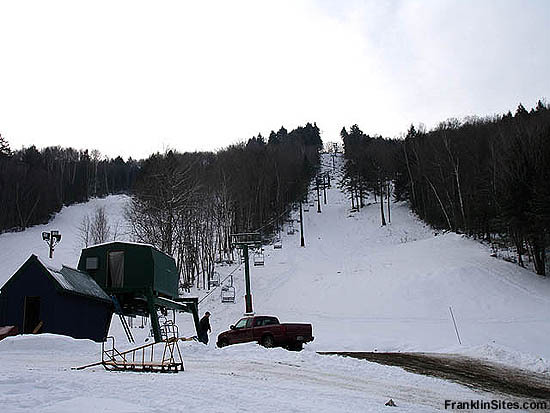 For 2004-2005, a second surface lift as added as a dedicated snow tubing lift. 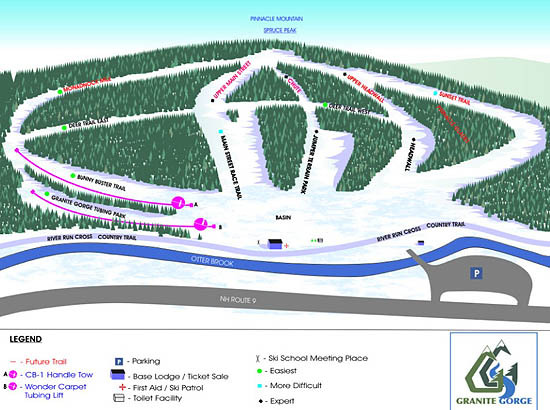 In addition, a T-Bar was announced to serve the upper mountain trails (it was never installed). 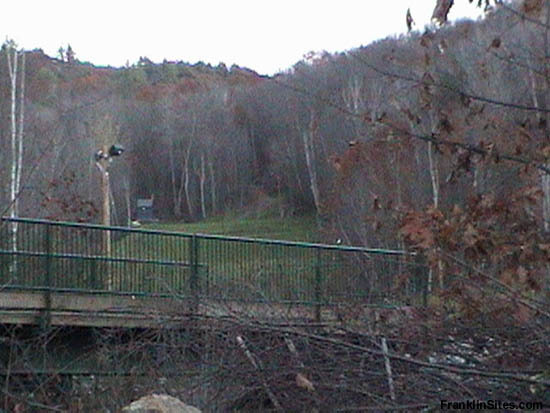 In 2005 a used double chairlift (from Devil's Elbow in Ontario; named Pinnacle) was installed, opening the former Pinnacle ski trails as well as new terrain above them. 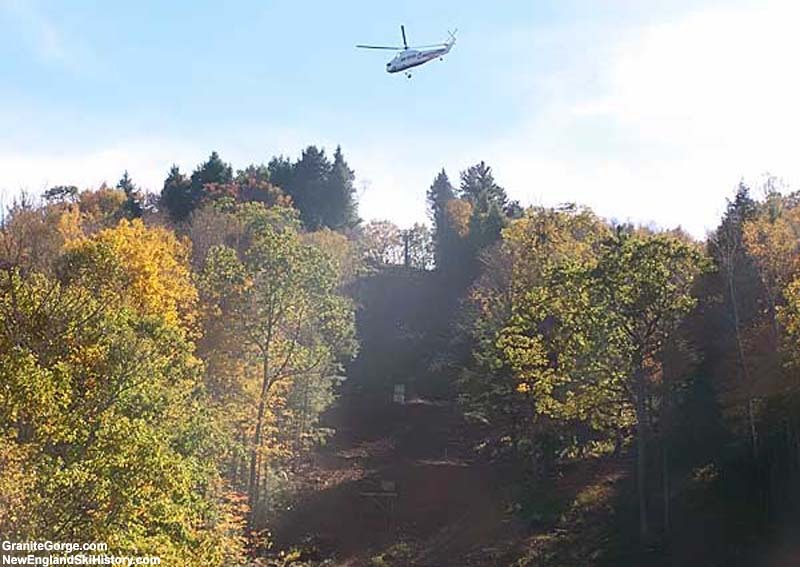 In addition, the Pinnacle double chairlift included a mid-station, allowing for operations with limited open terrain. 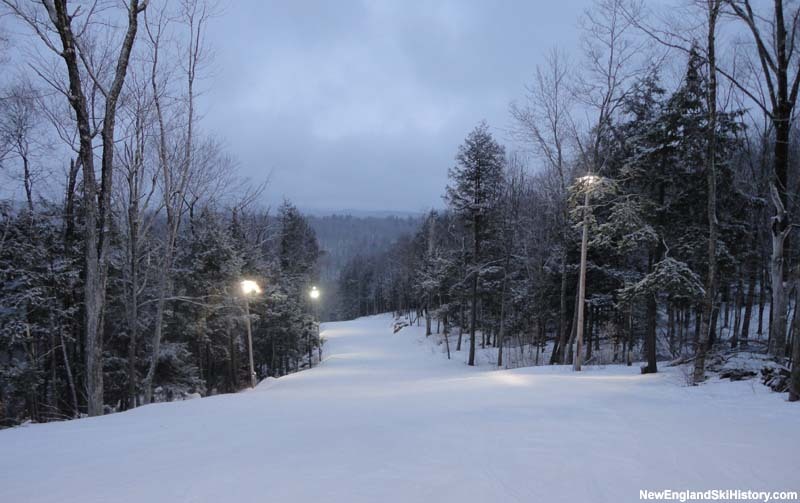 Since opening, trails on Spruce Peak have gradually received snowmaking capabilities and night lighting. 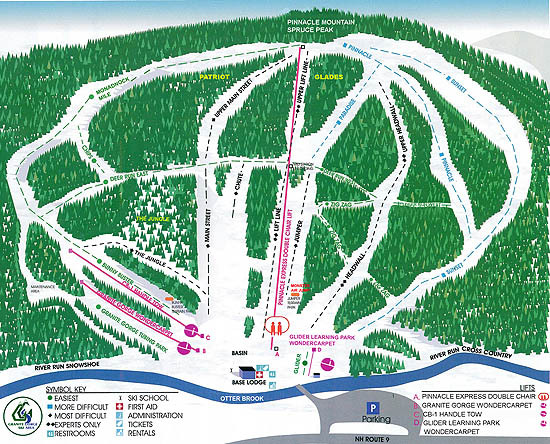 The terrain ranges from gradual novice cruisers to steep expert slopes.